Have you ever seen a retro trailer on the highway and wondered (or envied) where they were going? Chances are they may have been on their way to a rally, or into the woods to glamp (camping in style, and/or with amenities). 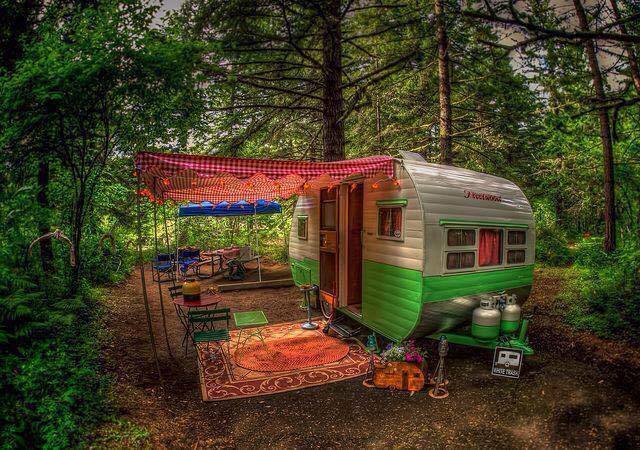 The second annual Rally on the Rogue will showcase about 40 refurbished retro trailers alongside the beautiful Rogue River on June 30 and July 1. Rallies take place around the country and it’s a great way for like-minded people to get together and show off their trailers, Jon Bowen, event organizer said. “Camping is one of the great ways to enjoy our area, and hitting this market is a great blend of retro cars, antiquing and camping,” Bowen said. Campers are traveling from Washington, Oregon and California. The event will also feature a vintage fair with vendors selling everything from exotic summer beverages to glamping supplies. There will also be food, live music and demos including “vintage trailer buying tips” and “camp cooking ideas.” Some trailers in the rally will even have pop-up shops outside of their trailers selling goods whether it’s art, a handcrafted camping tool, or some other vintage surprise. Saturday will host the largest number of vendors. 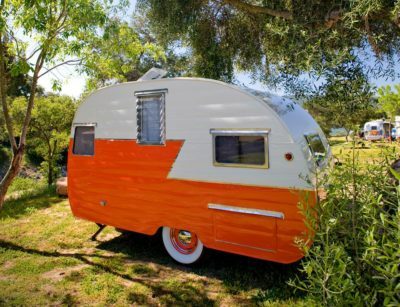 “It’s not just the trailer that’s set up for viewing, but the patio, and often the owners of the trailers dress up in retro clothes to match the era of their trail,” Bowen said. Over the course of the weekend, five awards will be determined in categories such as “most creative restoration” and “best in show.” The public may vote for their favorite trailer on Saturday. Although the public is not invited to the rally after hours, there are some interesting events lined up for the rally participants, according to Tina Schiefer, rally co-hostess. When campers arrive Friday evening, they’ll receive swag bags filled with vintage-styled candy and jiffy-pop, followed by a scavenger hunt, and a progressive cocktail party mixer in full 60s – 80s fashion dress up. Other activities include a movie under the stars, a potluck dinner and more prizes to be given away to campers only. Schiefer said her favorite part of the rally is the variety of vintage trailers that travel to visit. Bowen said the requirements for a trailer to be in the show is that it must be pre-1985, and the owner must send in a picture first for review. There may be trailers in the restoration process accepted if it’s clearly a great work in progress.